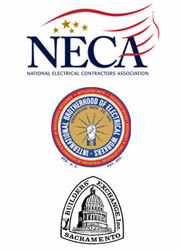 It's our belief that delivering superior, efficient electrical services takes knowledge and craftsmanship. We have over 15 years of experience. Valley Pacific Electric has completed numerous projects, our attention to detail and focus on customer services enables us to finish difficult projects on time and within budget. Valley Pacific Electric provides complete design-build and installation services for all your building systems. We take pride in offering professional services to institutions in any stage of development, from new construction to existing remodels. Preventative and equipment maintenance on electrical services and equipment.